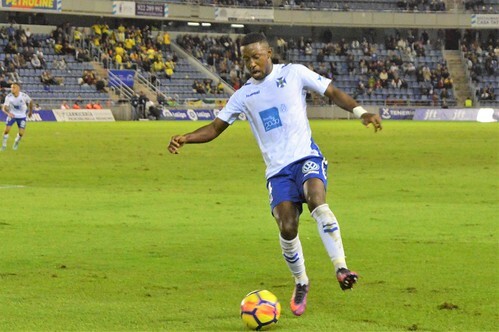 Maybe the jugernaut seven game winning streak of Cadiz was stopped but CD Tenerife were drab and ordinary in their 1-1 home draw against Cadiz. Coach Pep Marti owes a big present to Camille, Casadesus, and Juan Villar for saving his job with a last minute leveller in Santa Cruz. Ideas were thin on the ground and players looked like they would rather be anywhere other than on the Heliodoro pitch. Changes were again forced on the coach, suspended Acosta and injured Carlos Ruiz meant recalls for Vitolo in midfield and Alberto in the centre of defence. 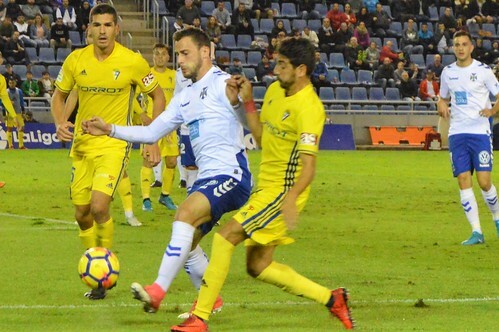 Cadiz oozed confidence, Barral was running free up front and Olivan threatened with a cross into the box that Alberto had to blast clear. 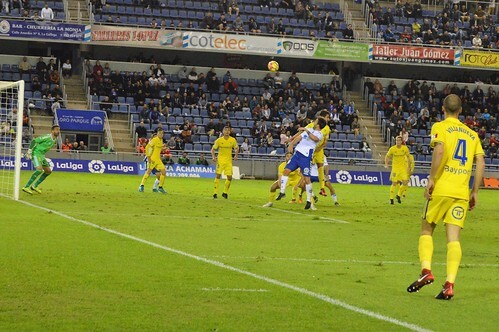 Casadesus tested Cifuentes from the edge of the box with a dipping shot that the keeper turned aside. 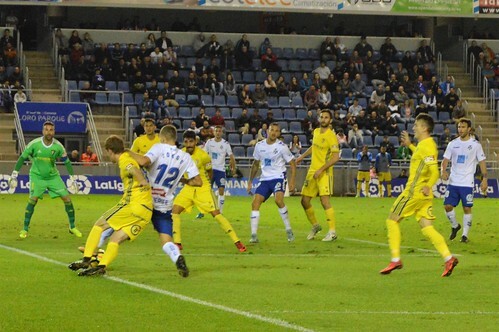 Carlos Abad had held his place in goal but looked shakey as he missed two chances to cut out the visitors 9th minute opening goal, Alberto dived ahead of him to head the ball partly clear but it fell to Garrido who lobbed it over the back peddaling Carlos. Salvi nearly doubled the lead after shrugging off Camille but he put his shot in the side netting. Cadiz were solid at the back, passed well, and had willing runners to spread the play. 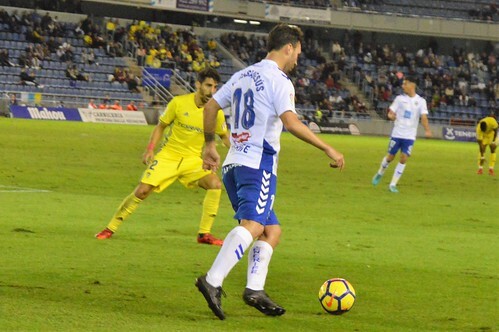 Tenerife were nervous and couldn´t string passes together, Suso, Aitor, and Vitolo were a midfield mess and Longo was left looking for service. 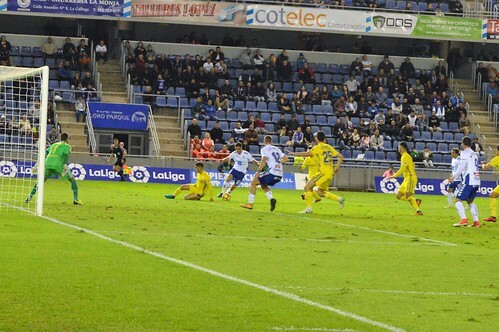 The second half opened with Tenerife still looking second best, Malbasic came on for Tayron and was slow and clumsy. Cadiz were happy to just pick off stray passes and pin down the home full backs Camille and Camara to cut out any wide creative play. Longo beat two markers and tried to squeeze a shot in at the post but the angle was too tight. Casadesus took the ball wide but ran out of pitch before popping a shot over the bar from a Malbasic pass. These were brief respites, home players were not moving or calling for each other and too often a back pass was prefered to a more adventurous forward invite. Juan Carlos Real replaced Vitolo and Juan Villar was a welcome addition for Suso, the injury prone striker has a more direct approach and likes to take players on. Malbasic on the left was a waste of space, he beat two defenders and then tripped over his own feet, and with clear space he ran into defender Carpio. Carlos showed better form with a diving save from Cruz after Garcia had cut the ball back from the byline. It was frustrating to watch for the 10,864 crowd, unforced schoolboy errors littered the home play and inspiration was badly needed. Camille was the unlikely spark, pushing forward he won the ball and picked out a great cross into the goal mouth, Csadesus flicked it on, and Juan Villar headed it in by the far post. 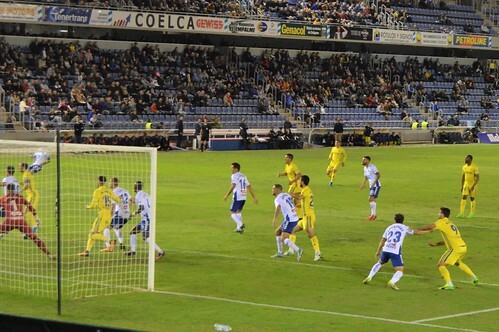 With three minutes of added time there was suddenly some urgency but Cadiz held firm. 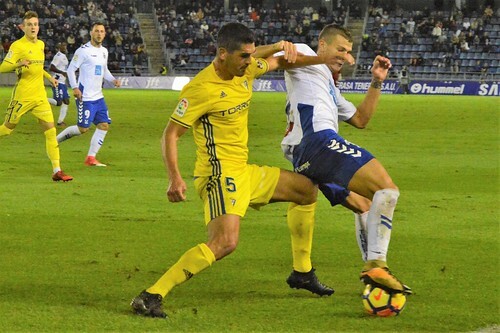 Former Tenerife coach Alvaro Cervera was clearky annoyed to let the win slip away and Pep Marti looked like a freshly liberated turkey. 2018 begins with two away games, a transfer window, and hopefully a fully fit squad so anything is possible, but big changes are needed.